Passing exams is a powerful and meaningful process that facilitates your success in passing exams. The purpose is to assist you to manage exam anxiety and strengthen your inner resources, positive emotions, concentration and focus. This is a perfect self-help tool to bring you positive results in your studies. 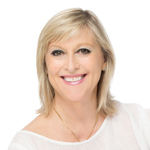 Gillian Godtfredsen guides you to gain clarity, stability and discover your personal strengths and resources. Then send an email to: utdanning@nocna.no with your contact details, and the audio file will be sent to you on email. You can also pay by the Norwegian app VIPPS 11345 (NOCNA), or through Paypal with the button "Buy Now".